Jennifer Lopez & Enrique Iglesias have announced a summer tour of North America. The trek will hit nearly 20 cities once it kicks off July 14 in Montreal; the pair will be joined by openers Wisin Y Yandel. 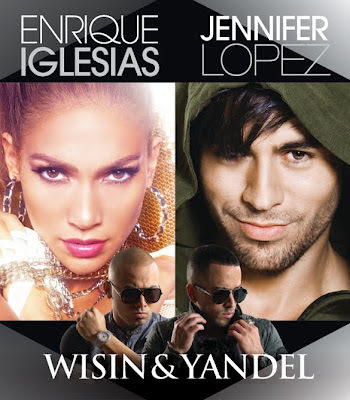 With combined album sales of almost 125 million, Enrique Iglesias, Jennifer Lopez and Wisin Y Yandel are some of the most dominant powerhouses in music today tallying countless chart-topping hits, sold out tours, and accolades from around the world. Both headlining artists have recently collaborated with great success. Jennifer released “Dance Again,” produced by Moroccan-born mega producer RedOne and Cuban rapper Pitbull, during “American Idol” to rave reviews. While Enrique Iglesias joined forces with DEV to create “Naked” which features both artists roaming and exploring the streets and casinos of Las Vegas, constantly missing each other at every stop. Tickets for all shows (except Montreal) go on sale this Friday, May 4 – Montreal ticket sales start Saturday, May 5. Check with your local ticket provider to confirm on-sale details in your area. VIDEO: Did Jennifer Lopez have wardrobe malfunction at the Oscars?